From site design to social media and everything in between, managing your web presence is integral in today’s market. There are several reasons why you need a strong online presence: it reinforces your brand, boosts your marketing efforts, and most importantly, helps you connect with your customers. But what if you’ve got a local clientele or are a brick-and-mortar operation that’s not really interested in doing the whole e-commerce thing? Do you really need a small-business website? The answer is an internet-troll-style, all-caps, gigantic YES: 97 percent of consumers use the web to search for local businesses. If you want your small business to reach its full potential, you need to have an online presence. But where do you start? After all, there are thousands of tools out there that claim they help with web management. So we’ve put our fingers on the keyboard and nose to the grindstone — gross, right? — to research the best web management tools for your small business. Here’s what we found. When it comes to web design you’ve got several options. 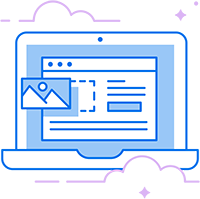 Of course, you can always hire a professional team from a trusted firm to tackle your web design, but experts don’t come cheap. If you’re looking for a more cost-effective method, you’ll be pleased to learn that there are several programs that are easy to navigate, have beautiful templates, and provide easy click-to-edit functionality to make creating a beautiful website easy — even if you don’t know how to code or aren’t a professional designer. Here are some of the best. If you’re at all web savvy, WordPress is an excellent choice. WordPress is a content management system (CMS) that makes it easy to regularly update your website with fresh blog posts, news stories, and more. WordPress does have a slight learning curve, but it’s relatively easy to tackle and you’ll be pleased with the number of features. Flexibility — WordPress is extremely versatile. You can create a blog, a portfolio, a business website, an online community, an online store, and basically anything else you can think of. Simplicity — Not only is WordPress flexible, but it’s also simple to use. With WordPress, you don’t have to know how to code to get a responsive website up in minutes. Plus, tools like DreamPress are specifically built to make maintaining your site and keeping it secure really easy. Popular — WordPress is one of the most popular web design tools on the market. That means there are thousands of pre-designed themes, useful plugins, and resources to help you build, modify, and update your site with ease. Cost — Since WordPress.org software is free, it’s a budget-friendly option that can scale with your business as you grow and need more features. 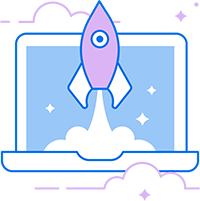 DreamPress Plus and Pro users get access to Jetpack Professional (and 200+ premium themes) at no added cost! Remixer is another top-of-the-line website building tool that was whipped up fresh in DreamHost’s developer kitchen. Here’s why it’s great: if you need a DIY website that doesn’t look homemade, Remixer is a click-to-edit solution. So what else does Remixer have going for it? Glad you asked. Responsive — With Remixer, you can rest assured that your website is 100 percent responsive. 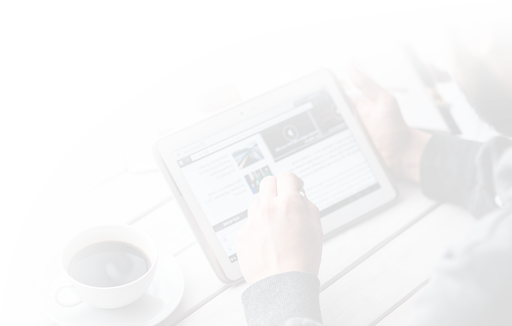 This means no matter what device your visitors are using to find your site, they’ll have a great experience. In 2018, a mobile-optimized website is a must for small-biz owners. Easy — Remixer is designed with ease in mind. That’s why the click-to-edit interface makes it easy to import your own images. If you don’t have your own art, the royalty-free image library takes care of that too. Quick — Just a few clicks on Remixer and you can get a website up and running in 10 minutes. Yeah, we timed it. Easy to Export — You can start your site in Remixer and then easily export it to WordPress when you’re ready to add e-commerce or blogging functionality. If you want e-commerce capabilities, we’d recommend building your website with WordPress — the flexibility and scalability are ideal for online stores. But remember: WordPress doesn’t come with an e-commerce solution out of the box. You’ll have to add that functionality, either via a plugin or an additional platform, to create a digital shopping cart. WooCommerce is a popular WordPress plugin and one of the best e-commerce solutions on the market. And it’s easy to get started! Basic features to help you manage payment, shipping, and other common tasks come baked in. If you need additional options, however, it’s easy to find extensions to add functionality. Budget-Friendly — Both WordPress.org software and WooCommerce are completely free, as are some of the extensions (most of the others range from around $50 to $100). Getting your online store up and running doesn’t have to burn a hole in your pocket. Scalable — WooCommerce makes scaling from small business to larger venture easy. For example, if you need more payment gateways, simply download and install a relevant extension or plugin. Secure — Security is vital for every website but especially if you’re managing transactions. WordPress’ dedication to security and frequent updates will help protect your site. Additionally, customers using DreamHost’s managed WordPress options are protected by a built-in firewall that eliminates the need for additional security plugins. Search Engine Optimized — WooCommerce itself is light on SEO-related features. It’s built using code optimized for SEO, and there are a few relevant extensions you can add, such as SEO Friendly Images. However, if you really want to improve your store’s chances of getting to the first page of Google, you can download a WordPress SEO plugin. Sell anything, anywhere, anytime on the world’s biggest eCommerce platform. Shopify is a subscription-based, e-commerce platform that makes it easy for beginners to build and customize an online store in very little time. It also provides a “guru” service to guide you through the creation and management of your e-commerce site. Reliable — Shopify is one of the largest e-commerce solutions on the market. Because it requires a monthly subscription — plans currently start at $29 per month — you can count on Shopify’s rock-solid performance. Integratable — It’s easy for DreamHost customers to integrate a Shopify store with your site. There’s also an app store where you can download add-ons that provide functionality such as social media, shipping, and accounting. Support — Shopify provides support through its comprehensive help center, where you can find everything from tutorials to troubleshooting guides. You also get access to 24/7 support via chat, email, or phone. Still wondering whether you should opt for WooCommerce or Shopify when building your e-commerce site? Wonder no more. We’ve put together a comprehensive guide to help you parse out which platform might be more suitable for your website. Even a small business can have a large social media presence. The social tools below will allow you to expand your web presence all in one integrated interface. Be in several places at once? It’s every small business owner’s dream! HootSuite integrates with Facebook, Facebook Pages, Twitter, Instagram, Google+, Google+ Pages, LinkedIn, FourSquare, MySpace, YouTube, and WordPress. It allows you to schedule posts ahead of time, focusing on peak performance times for each platform. Convenience — If you’re sick of switching between your social media profiles just to push out daily updates, then you’re going to love HootSuite. 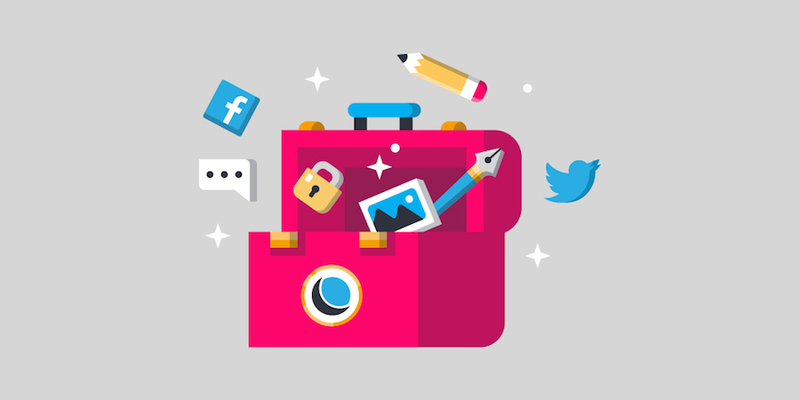 With HootSuite, you can manage all your social platforms from one location. Collaboration — Many small businesses have several people creating content and posting across channels. If you don’t have a cohesive system, you’re setting yourself up for a social snafu. HootSuite gets everyone on the same page. Reputation Management — HootSuite makes it possible to never miss a mention or complaint that your team needs to address. Buffer supports up to 25 social accounts, allowing you to post across all your platforms from one interface. Here are some of Buffer’s other top features. Trends — Buffer has integrated analytics and insights, making it easier to tweak your social strategy based on data. Scheduling — Buffer allows you to create a custom schedule for each day. You can do it daily, monthly, or annually — basically whenever it’s convenient. Insights — You’ll never have to wonder when you should share your next Instagram pic or Facebook missive. Buffer keeps track of your followers so you know when it’s the optimal time to post. Everypost makes it easy to curate content from across the web, schedule your posts, and integrates with Facebook, Twitter, Google+, Linkedin, Pinterest, and tumblr. Analytics — You can social smarter with the analytics provided by Everypost. The dashboard is sleek and easy to use. Curation — Everypost helps you curate content directly within the app — no switching around to find shareable content, design content, and post content. Customization — You can maximize the potential of each post you create. This helps you reach all of your audience members, no matter what platform they are on. It’s not enough to build your website and forget it; you’ve got to be strategic about getting your brand out into the world — and in front of the eyes of your potential customers — as much as possible. Even if your business is a brick-and-mortar deal, promoting your website and digital offerings will usher local Googlers into your doors. HubSpot offers a free marketing tool and WordPress plugin to help keep track of potential customers and assist you with lead conversion — that is, converting a casual browser into a committed buyer. Capture — HubSpot makes it easy to grab website visitors’ email addresses by helping you create a pop-up invitation or another module. It can even pull and track information from any form submission on your website — no matter what tool or plugin. Track — Along with keeping track of visitors’ email addresses and activity on your website (purchases, time spent on page, etc. ), you’ll know which other websites your potential customers have visited. 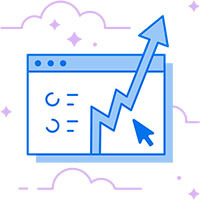 Convert — Analytics displayed on a simple dashboard will help you know what’s working for your site (and what isn’t) and how to target marketing emails to bring your customers back. Simple — The HubSpot WordPress plugin is simple to use, even for the non-techie, and it plays nicely with other tools such as Shopify. Want to Keep It Simple? Obviously, there are several tools out there to help you effectively manage your online presence. But you don’t have to overwhelm yourself by investing in every option on the market! If you’re brand new to the web, use Remixer to get your website up quickly. Then you can add some of the other options on this list to build your brand online.